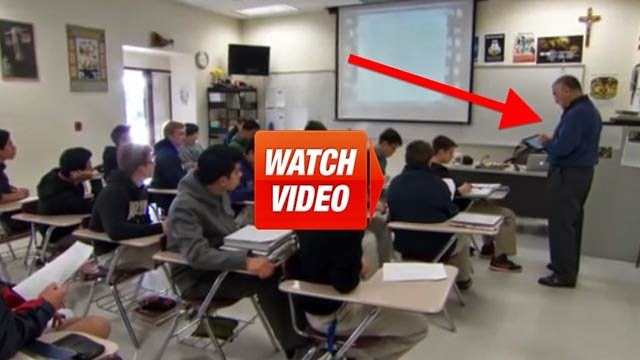 This Teacher Was Hated By His Students - Until They Learned His SHOCKING Truth. WOW, This Is AMAZING! Jim O’Connor wasn’t exactly the most popular teacher at St. Francis High School. They thought he was tough, demanding and boring. That is, until one of his students visited a children’s hospital near the school. There, the student heard about Mr. O’Connor’s second job: holding, feeding and comforting sick babies. It turns out, Jim has been doing this for years, and is known around the hospital as one of the gentlest, sweetest men, which in turn completely shocked his students. Once words spread and his class saw their teacher for who he really is, they began to see him in a new light — and today, they have a new-found love and respect for Mr. O’Connor! I’m SO touched by this story! Please SHARE this amazing story of service and sweetness!